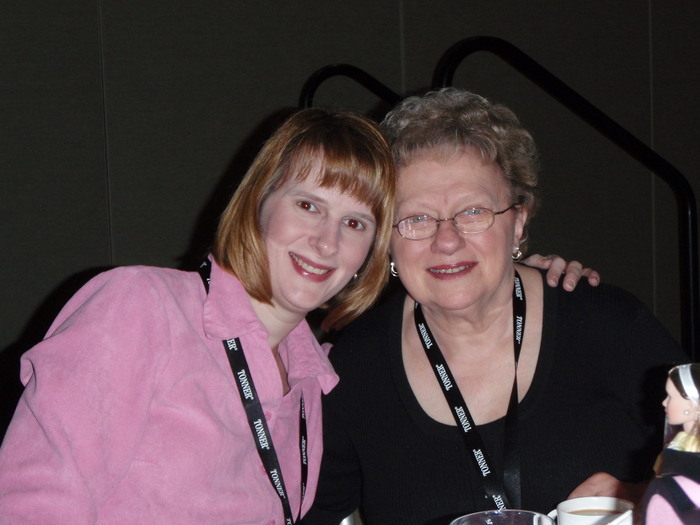 Once upon a time, the annual Tonner Convention was a big event that I shared with my mother and looked forward to for months. In the early 2000’s, we traveled to Orlando, Chicago, and beyond, soaking up the excitement of an event that only other overly enthusiastic doll fanatics can truly understand. We would typically tack on a couple days to our adventure to see the local sights. 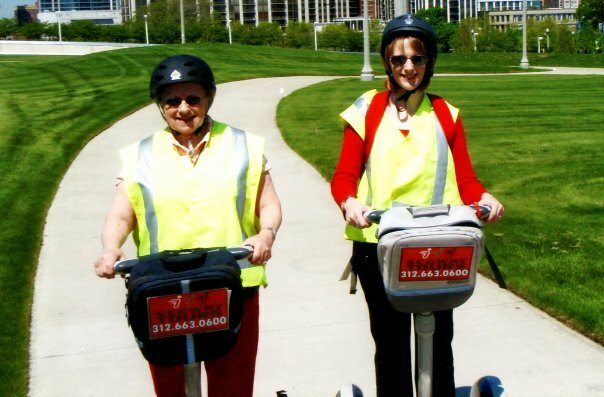 One of my favorite memories of my mom is going on a Segway tour of Chicago with her during a picture-perfect June day in 2007. But of course, the only constant in life is change. Mom no longer recognizes either me or her beloved dolls, and I have not attended the annual Tonner Collectors Convention for five years. Besides my mother not being there, some of the luster of that event has faded for me. Tonner fashion dolls were much more in vogue then, and Tyler and Sydney reigned supreme. Those girls got me into serious collecting in the first place, and I’m one of the old-timers who look back with nostalgia on the early 2000’s as Tonner’s heyday in the fashion doll world. Being among the first to glimpse those coveted centerpiece and souvenir dolls of Tyler and the girls of the Chase Modeling Agency–some of the best dolls Tonner ever created, IMHO–made me and my mom giddy with excitement. Today, Tonner makes available excess convention product to the general public a few days after the convention ends. Whether this is a good thing is subject to debate. For me, it’s a bad thing. It takes away a big reason I attended the conventions to begin with. Back in my day, we worked for those convention dolls. We paid for pricey airline tickets, stayed in expensive hotels, and emptied our wallets to ship our hauls back home. Those dolls represented one hell of an investment. And I cherished them all the more for it. And they accordingly fetched a pretty penny on the secondary market–which they should. When you remove from the equation that giddy suspense of seeing and possessing some of the most deliciously exclusive fashion dolls of the day, you fundamentally change the nature of the event. If I can get the dolls without having to shell out for transportation, lodging, and meals, why go? Tonner knows this, and in response, I see the company making a bigger effort to make their conventions more about being there. They invest in entertainment; fun, interactive games; and silly activities. They may not have as many attendees as they once did, but those they do have seem to be having one hell of a good time (if the videos and photos that end up on Facebook are any example). But for me, Tonner Con has lost its luster. While I can definitely appreciate their artistry, some of his new doll lines leave me cold. (She may have a great wardrobe, but the permanently stoned expression and jazz hands of Deja Vu just don’t do it for me.) My mom, of course, does not attend any longer, and neither do my closest doll friends–who have mostly moved on to resin FBJDs. This year’s Tonner Con produced some gorgeous and original dolls that have stirred in me some of that original excitement I felt for my first Tonner dolls. There are four in particular that I think are major triumphs. The others are lovely too, just not to my personal taste. And Tonner gave us the most comprehensive convention coverage yet this year. His photographer documented each event blow-by-blow, releasing photos of each souvenir doll as it was revealed to convention-goers, along with descriptions, edition numbers, and prices. It was as close to being there as you could get without actually making the trip. The biggest objects of my desire to come out of the convention is the Ellowyne group. They are straight out of an instruction manual on how to be the perfect 50s housewife and hostess. They scream “Lucy and Ethel.” Their outfits are well-thought-out, and the fabric combinations work to great effect. Their hairstyles are elaborate and period-accurate. I. Want. One. But I couldn’t possibly tell you which one I like best. My second choice is no surprise. It uses the “Kit” sculpt, one of my favorites from the Chase Modeling line. She wears an adorable “rockabilly” themed square dance outfit. Love the execution. Love the hair. Love her. Other dolls included another Rockabilly-themed fashion doll, several child dolls from the “Patsy” line, and Evangeline. The convention doll was a Marley Wentworth gift set, complete with two outfits and two wigs. It’s great to see Tonner offer a gift set again, and Marley’s black coat dress looks lovely and original. But I don’t think I will ever warm up to Marley’s stern expression. She just looks pissed off–nothing like the wholesome, healthy beauty that her sister had possessed in her early years. And maybe that’s the point. Maybe Tyler wouldn’t survive in this world of harsh, eternally angry fashion dolls. 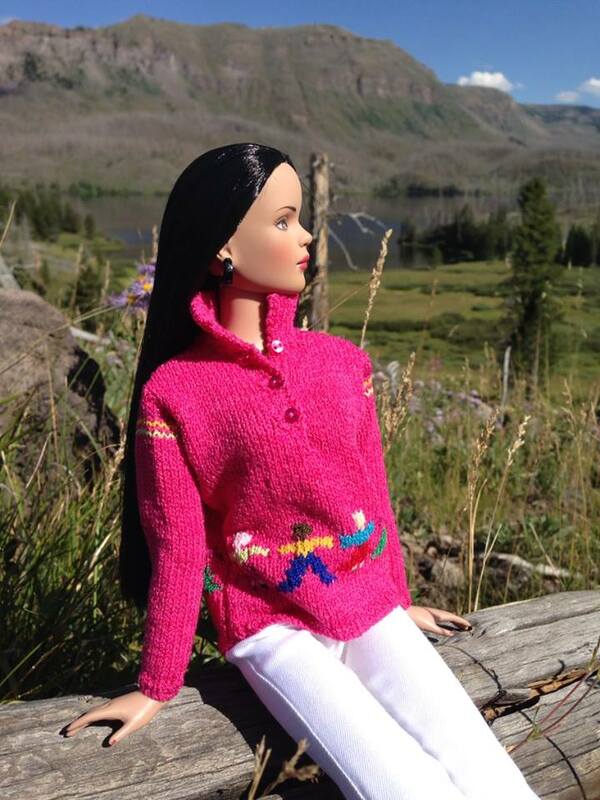 Sybarites seem to have set the tone for the age of The Angry Fashion Doll, and now she is everywhere. Perhaps her face reflects the cynicism and frustration of a post-recession world. I don’t know. All I do know is that I miss her sister. So there you go–a convention review from someone who wasn’t even there.